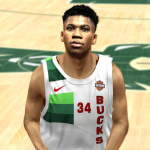 The latest file additions for NBA 2K13 PC include a Reshade that adds an 80s/90s TV filter, and a new version of PatTheHead’s retro season roster pack. Check them out at the links below! 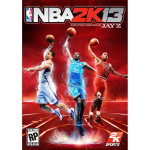 You can find U R Basketball 2K13 here in our Downloads section. For more previews, support, and information on future updates, be sure to check out the release topic here. As with URB 2K14, future releases will include further updates to the retro content. You can find U R Basketball V63 here in our Downloads section. For more previews, support, and information on future updates, be sure to check out the release topic here. Today’s file additions for NBA 2K13 PC include an update for U R Basketball 2K13 (rosters accurate as of December 28th), and the latest version of PatTheHead’s retro roster pack. Check out both mods at the links below! 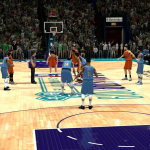 NBA 2K14 gamers can download U R Basketball here, and find the mod’s release topic here. If you’re playing NBA 2K13, download that version of URB here, and check out its release topic here. Make sure that you download the correct version for the game that you’re playing, as roster files are not compatible between the two titles. I’m a little behind in posting this, but V62 of U R Basketball by skoadam and slimm44 is now available for both NBA 2K13 and NBA 2K14 PC! 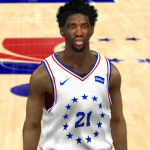 The NBA 2K14 mod contains 2019 season rosters accurate as of December 17th, while the NBA 2K13 update is accurate as of December 14th. Other updates in V62 include new coach faces (Atlanta and Phoenix), fixed player contracts, and the latest rotations. The recently unveiled City and Earned uniforms have also been added, courtesy of Pepis. The Elite roster is still in the pipeline, and updates to the current season roster will continue in the new year. You can download V61 of U R Basketball here! Be sure to check out the release topic here for support, previews, and more information about future releases. Today’s lone file addition for NBA 2K13 PC is a new version (v4.9) of PatTheHead’s retro roster pack. Download it at the links below! We have one new file addition for NBA 2K13 PC today. PatTheHead has uploaded a new version of his retro roster pack, which you can download at the links below! We have one new release for NBA 2K13 PC today, as PatTheHead has uploaded a new version of his retro season roster pack. Check it out at the link below! If you’re still playing NBA 2K13 PC, you’ll be pleased to hear that skoadam and slimm44 are still updating URB 2K13. Download the latest version at the link below! For those who are unaware, skoadam recently released a new version of U R Basketball for NBA 2K13 PC. The latest release includes rosters updated as of February 3rd, and several other enhancements. Pick it up at the link below! 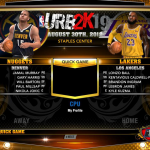 If you’re still playing NBA 2K13 PC, then you should be very pleased to see a new version of URB 2K13. The latest release includes updated 2018 season rosters, and the new Elite roster. Check out the release topic in the NBA 2K13 section of the Forum for more information, and download it at the link below! 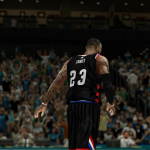 We have a new file addition for NBA 2K13 PC today, specifically a Nike LeBron 15 shoe mod. This was actually uploaded about a month ago, but in waiting to see if a few more NBA 2K13 mods would be added or updated before posting a bulletin, I ended up overlooking it. Nevertheless, if you missed it while browsing the Downloads section, be sure to check it out at the link below! We’ve got one new release for NBA 2K13 PC today, as PatTheHead has updated his retro season roster pack. Download it at the link below!